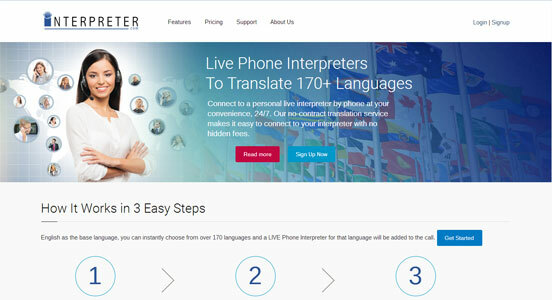 Interpreter.com is our service that offers certified, live interpreters in over 170 languages from any phone in less than 30 seconds! No Hidden Fees. Same Rates 24/7. Connect to the world and break through any language barrier Connect to a personal interpreter by phone at your convenience, 24/7. Our pinless service makes it quick and easy to connect to your interpreter! Make long or short calls because you only pay for each minute you use! Works from any phone: home, work, cellular, dorm, or payphones. Reliable and confidential conversations. View code of ethics. Receive flexible billing options for small and enterprise organizations. Communicate with virtually anyone in the world. 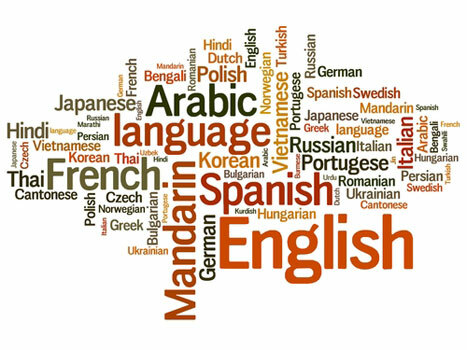 Arabic, Bengali, Cantonese, French, German, Hindi, Finnish, Flemish, Khmer, Kinyarwanda, Kirundi, Korean, Kosovan, Japanese, Mandarin, Portuguese, Russian, Vietnamese, Indonesian, Italian, Spanish, Swedish, Thai, Hebrew, Polish, Swedish, Over 170 Languages in total! Through our network of brands, Universal Calling Inc. has been able to provide not only retail customers, but also retail outlets around the world with world class translation products. 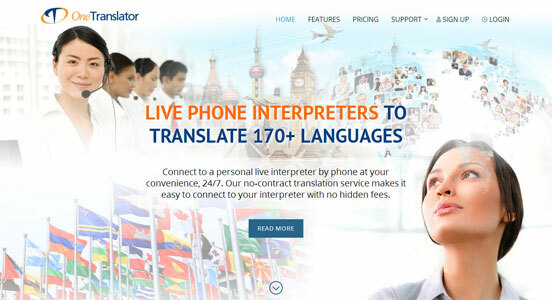 Our brands include Interpreter.com and OneTranslator.com. Break through any language barrier with the convenience of an on-demand personal translator.